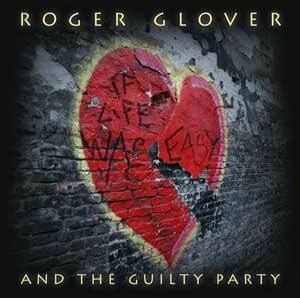 Roger Glover’s new solo album (the first since Snapshot in 2002) is finally out (though worryingly a lot of people seem to have had pirate download well before release date). As well as The Guilty Party who helped on his previous album, his daughter Gillian Glover is also on there and Mickey Lee Soule guests. There are 16 tracks including two co-written with Gillian. Roger Glover – vocals, guitar, harmonica, Godin fretless bass, keyboards, percussion, programming. The CD has shipped from the DTBOnline store. DTB also have a few copies of the previous album in stock but it’s unlikely this will remain on catalogue much longer. Thanks to Tim Summers.